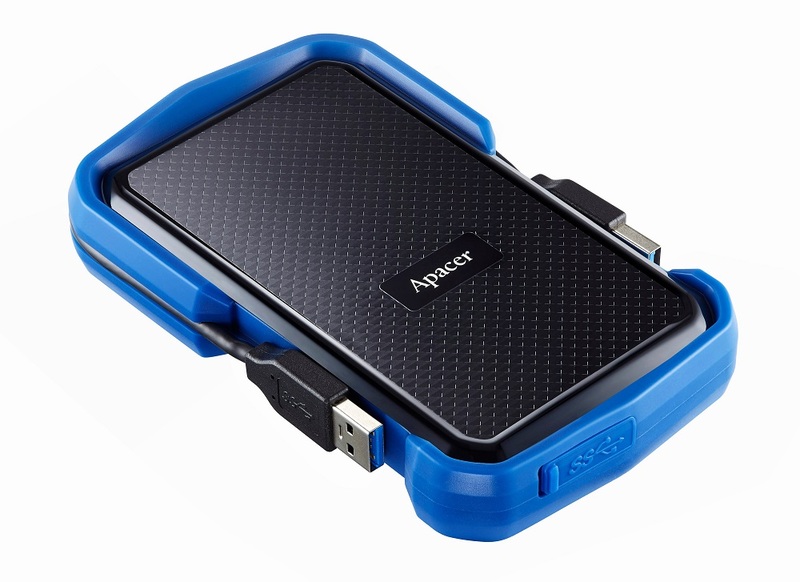 Apacer AC631 USB 3.1 Gen 1 military-grade shockproof portable hard drive brings data protection to a higher level! It is military-grade compliant and has passed various international safety certifications. Besides, AC631 was awarded from Taiwan Excellence 2018 among over one thousand products. With fully sealed structure and protective rubber frame, AC631 has passed the U.S. military-grade drop test and is IP55 certified for dustproof and water resistant functions, always keeping the stored data safe. Moreover, the anti-scratch exterior comes with cable carry design, effectively ensuring the entire unit is neat and sleek. With the all-round protection of AC631, you can enjoy your travel without worrying about losing precious memories. Thanks to the digital photography technology, photos and videos captured during travel or sports can be completely recorded. However, the precious data can be easily influenced by shocks, falls, dusts, and water. Instead of being cautious trying to keep your hard drive safe, now you can simply leave it to AC631. 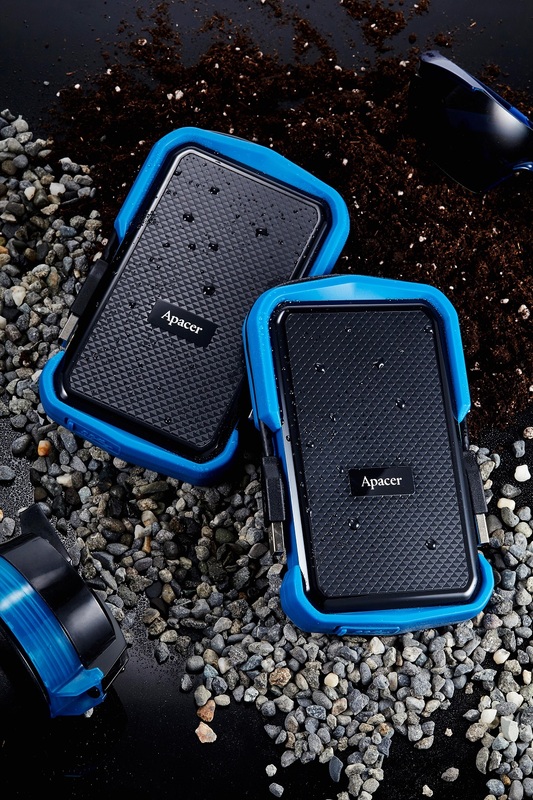 As the latest mil-spec portable hard drive from Apacer, AC631 is also compliant with MIL-STD-810G 516.6 Procedure IV (Transit Drop Test), meaning if the unit is accidently dropped, it will stay protected up to 1.22-meters in height. Besides, with the fully sealed structure, AC631 is certified with IP55 rating which means it can withstand spraying water and dust in pouring rain or a dusty environment. The strong protection of AC631 comes from a single-piece rubber frame which is built from the internal structure to the exterior; it functions as a strong buffer to absorb shocks during falls or strong impacts. Crafted with cobalt blue trims around all sides over the graphite black surface that is 3D textured, the unit not only has a sporty vibe, but also resists scratches or fingerprints, effectively reducing the damage caused by friction. The thoughtful slot design is especially equipped for easy cable storage, keeping the cable neatly stowed when it is not in use. AC631 adopts USB Type-A female connector which is test-proven with a durability of 10,000 times plug and unplug cycles, providing safety guarantee for users. Equipped with USB 3.1 Gen 1 high speed interface, AC631 has a transmission speed up to 5Gbps to efficiently process large video or sound files. It is available in 1TB and 2TB; the latter can store up to 1 million photos, half a million mp3 music files, or 833 hours of full HD videos. Have AC631 as your data guardian, you can enjoy your journey without worries!